For many people it is fairly intuitive that a trip to the beach/ocean “adjusts” one’s disposition in some way. Similarly many will say when it rains that it is good “sleeping weather” because it seems the sound of the rain is soothing. When one visits the jungle or rain forest there seems to be a similar coolness about the disposition of the people. Countless examples can be given, but rarely has anyone told you “why”. If one could tell you how and why these stimuli work, then maybe one could harness this power to ease the minds of brain damage, TBI, or concussion victims. Since there is little non-invasive, non-narcotic treatments, this could be rewarding for many (Including those who haven’t any severe damage). The many sounds of rain are extremely similar to all the other sounds of the rain. The same is true relatively speaking for sounds of the ocean. Uniquely when one experiences either the rain or the ocean they are getting extremely similar, but subtly different sound stimuli in each ear. The sound of a rolling wave is different in the left ear from the right as the crashing wave moves along or the person turns their head. Similarly the sound or “pitter patter” of rain drops is each drop similar in some way to the others, but as they are falling all around the sound in either left or right ear continually varies. What the varying sounds does is create a natural effect that some would call “Binaural Beats”. The similar but different frequency sounds tend to force the brain to try to sort the sound out. Your brain gets extremely active working on the similarly yet dissimilarity of the sound, and in essence what one gets is called “Brain Entrainment”. With brain entrainment the theory is the left and right side of the brain work together to sort out the sound. In the “fight or flight” concept this would tell the brain to alert the person where a predator or something is or is coming from, yet since there is no stimuli in these instances to be alert to a predator it actually serves as a form of exercise or calisthenics for the brain. It is relaxing. The effect can be recreated to exercise, stimulate, or relax the brain. It is often referred to as Binaural Beats or sound resonance stimulation. A unique problem stemming from TBI (traumatic brain injury) patients or those with PTSD (post traumatic stress disorder) or concussion is that if your brain is ‘unevenly damaged’ meaning one side left or right is worse or different than the other then problems can/will occur. For me, in my accident I had a generalized head trauma, but the predominating problem was left side of my brain/head. This caused a host of problems some of which are listed elsewhere on this site……..Meanwhile, after 2 years following the accident by all manner of study I was considered to have statistically permanent brain conditions that had set in. In essence the medical field for the most part had written off my ability to recover, and I needed to find methods to adapt. Sound resonance training and brain entrainment can potentially serve that purpose. In certain types of balance disorder studies and audiology testing a stimulus is given to the participant and their eyes are observed to see what effect the stimulus has on the sensory perception of the participant. In short one can see that audio (ear) stimuli will cause a reaction in the eyes as the sound stimulates other senses to determine the distance and direction of the sound. By giving different stimuli in the ears the testing can tell potentially if there is a problem. This does not necessarily tell what the problem is, it just detects one. Uniquely when one first begins Brain Entrainment they can sense their eyes moving and trying to focus independently to an extent based on the sound stimulus. This should be an indication that the “therapy” is not only working, but may be necessary………..For me, it helped refine some of the issues of my left side brain dysfunction as it re-trained my right side and left side brain on how to communicate in their new environment. In turn many things in life eased such as balance disorder issues, mood stability, etc. With many of our hyperbaric sessions on the farm we try to incorporate a little brain entrainment exercises as well. Yes, it may obscure the discussion as to which “worked” for our visitor, but as long as our visitors get results we are happy to have an obscure answer. Brain entrainment by way of Solfeggio rhythms, Binaural beats/tones can help stimulate growth and activity to boost certain therapies. Whereas some connect these concepts to drumming, chanting, chakras, and a host of other things spiritual and mystic the above explains in simple terms how the effects “work” and why. This is not an endorsement of this use for some of the more way out claims of this type therapy. 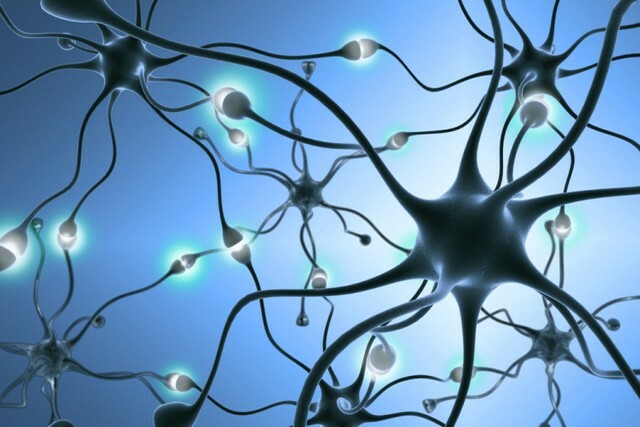 Idling neurons in the brain/body/tissue can be revived using a Simple Solution! We provide insights to that solution and show you how it works in our new book! See below! Order NOW! Have a wonderful day and keep searching for truth. Ask, seek, knock!